The National Theatre on London’s South Bank has invested heavily for the second time in GLP’s award-winning impression X4 Bar 20’s. Lighting Resources Manager, Paul Hornsby, has added to the initial tranche of 18, which he purchased as soon as they first became available, with a further 20 in order to meet the increasing demand. Both batches were supplied by GLP dealer, White Light. Explaining the rationale, he stated, “We have an extremely substantial rig at the National, and so every year, with my onsite team, we evaluate and discuss what needs replacing and upgrading, depending on both lighting designers’ requests and advances in technology. He confirmed, “The initial GLP purchase was the result of a combination of lighting designer referrals along with our own need to replace our ageing DLC fixtures.” And as soon as the first 18 fixtures arrived they were requisitioned for productions of Angels in America and Salomé. Paul Hornsby’s introduction to the X4 Bars had been on GLP’s stand at last year’s PLASA Show in London. “I was extremely impressed and had never seen a unit like them — they seemed to have a lot of features. 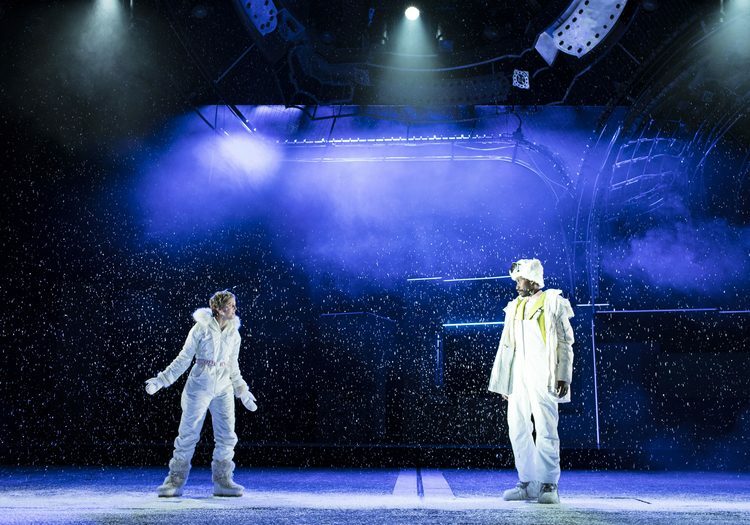 I had also seen them in use on other shows and heard nothing but praise from lighting designers who were quick to shout about their capabilities,” he continued. 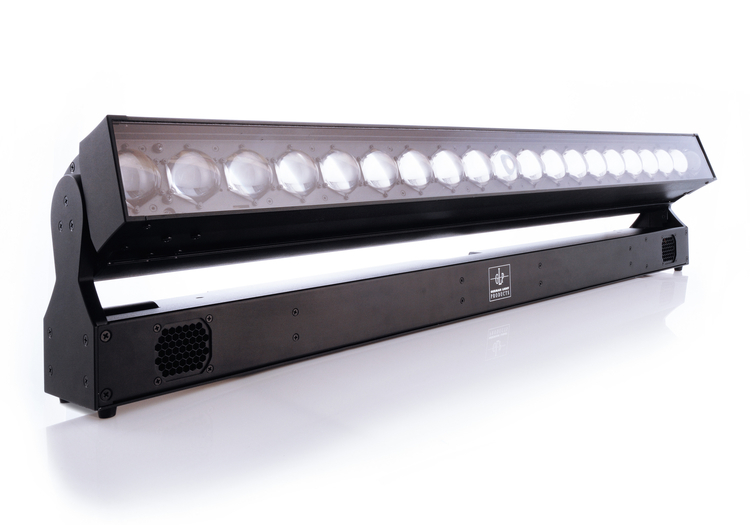 Both the X4 Bar 20 and smaller X4 Bar 10 are high performance battens that incorporate tightly-packed 15 Watt RGBW LEDs to produce a full line of light. High quality optics ensure a smooth, homogenised output across the batten through a broad pallet of pastel and saturated colours, complemented by exceptional dimming. DMX control offers full pixel mapping capabilities, while the impressive zoom range, from 7° to 50°, ensures effects from a narrow angle light curtain to a wide angle washlight. LDs were quick to recognise this unique feature-set, and due to the high demand for the X4 Bar 20’s it was always in Hornsby’s thinking to invest in a second tranche. “We were immediately aware of how sought-after these fixtures are and the kind of impact they would make on all our shows here at the National.” This is so much the case, that the latest arrivals have gone straight onto Common and NT Connections, while 24 of the X4 Bars will be used on the upcoming production of Follies. Part of a cutting-edge resource of fixtures at The National, they can easily be installed in any of the theatre spaces within the complex, notably the Olivier and the Lyttelton, in order to provide LDs with greater flexibility. The National Theatre has invariably turned to White Light to meet its requests over the years, with Paul Hornsby stating, “We are aware they can always offer us the very latest fixtures available on the market — such as the X4 Bars.” Reviewing the merits of the Theatre’s latest lighting acquisition, he remains unequivocal: “These Bars offer low power, high output, flexibility and great colouring — essentially everything you want from a lighting fixture! Currently in use on four shows (with Follies to come) the National’s lighting supremo sees the demand for the battens only increasing.